LafargeHolcim named Jay Moreau as CEO of U.S. aggregate and construction materials operations. Moreau succeeds Guy Edwards, who was appointed CEO of Aggregate Industries in the United Kingdom. Moreau joins LafargeHolcim from Martin Marietta, where he was regional vice president and general manager, a division president and, most recently, senior vice president of operations services. Moreau received his bachelor of science degree in business/pre-law from Juniata College. 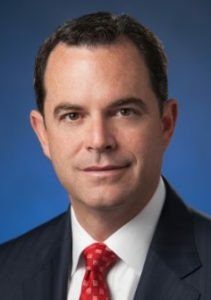 He holds certificates of achievement from Georgia Institute of Technology and the University of Virginia-Darden School of Management.